The Oklahoma Sooners opened as a 5-point favorite at market-setting sports books 5Dimes and Pinnacle with the total set at 62.5 points. Nearly 80 percent of the tickets have come in on the favorite, but the books have moved the spread to just a field goal with some books now giving just 2.5 points on the Tigers. While we have seen some reverse line movement on the spread, the total has moved in the expected direction with 80 percent of the tickets backing the over and the total currently set at 65 points. You can follow the public betting percentage and line moves for all sports at our live betting odds page. The Tigers have had a solid year, but they closed out the regular season by losing two of their last three games (to Georgia and Alabama) which cost them the SEC title. They fell 30-12 as a 20.5-point underdog at Alabama in their last game, and the team has played without quarterback Sean White in the last two games due to a with a shoulder injury. Coach Gus Malzahn told reporters Dec. 14 that White “looks ready to go, didn’t miss a beat” so expect White to be back under center for this contest. White has thrown for 1644 yards with nine touchdowns and three interceptions this season, but the Tigers biggest threat offensively is running back Kamryn Pettway, who ran for 1123 yards and seven TDs in just eight games this year. He did not finish the season strong though and missed two games late in the season with a quad injury and didn’t record a carry or reception in two others. 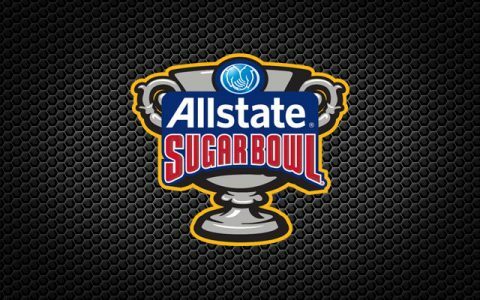 The Tigers come into the Sugar Bowl ranked 39th in total offense (449.2 ypg), 112th in passing offense, 6th in rushing and 47th in scoring, averaging 32.2 points per game. They’re ranked 21st in total defense (348.4 ypg), 61st against the pass, 20th against the run and 5th in points allowed, surrendering just 15.6 points per game. Auburn gave up more than 29 points just once this year and that was in the final loss to Alabama. The Tigers are 7-2 ATS in their last nine games overall and 4-1 ATS in their last five bowl games. Under is 4-0 in the Tigers last four games overall. The Sooners enter the Superdome in Louisiana riding a nine-game winning streak, and they ended their year with a Big 12 title after knocking off rival Oklahoma State by a score of 38-20 as a 12-point favorite. Quarterback Baker Mayfield threw for 288 yards and three touchdowns in the victory. He’s had a very strong season (third in the Heisman trophy voting) in throwing for 3669 yards with 38 TDs versus just eight INTs, and has also added 143 yards and six TDs on the ground. He has a great target in go-to receiver in Dede Westbrook (Big 12 Offensive Player of the Year) who enters the game with 74 catches for 1,465 yards and 16 touchdowns. Oklahoma has a really strong offense and ranks 2nd in total offense (557.4 ypg), 12th in passing, 18th in rushing and 2nd in scoring at 44.7 points per game. The Sooners scored at least 34 points in every game during their perfect 9-0 run to close out the season and outscored their opponents by 22.6 ppg over their last seven games. Defensively the Sooners have not been quite as good, entering this contest ranked 88th in total yards allowed (439.8 ypg), 118th against the pass, 55th against the run and 75th in points allowed, surrendering 29.7 ppg on the year. Well worth noting though that they played much better defense down the stretch allowing just 19.8 points per game through their final five contests. The Sooners are 5-0 ATS vs. a team with a winning record this season but 3-7 ATS in their last 10 bowl games. Under is 4-1 in the Sooners last five games overall. Oklahoma has the advantage on the offensive side of the ball, but defense wins you bowl games. Take the points on the Tigers.